Campus life at hotel management is packed with long classroom hours as prominence over theoretical class is given to practical training and workshops. Arjun Kala, a student at reputed IHM Bangalore, shares his campus life experiences and the role of campus life journey in inducing pleasant personality changes in him. As a part of Careers360 “My Campus, My Life” series, we bring life experienced by a hospitality student Arjun Kala at IHM Bangalore in terms of adjusting with campus routine, gaining insight from industry expert through attending guest lectures, and last but not the least learning by doing. Arjun Kalashares his Life at IHM Bangalore moments and recounts his good old days of maintaining a pace with high standards of grooming and how adjustment process gradually lead to learning importance of time management. 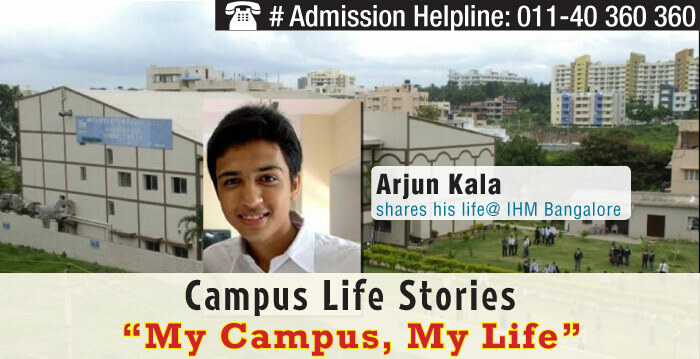 Explore the IHM, Bangalore Campus with Arjun and experience his campus life through his descriptions and photographs. Careers360: Describe your life at IHM Bangalore campus. Elaborate on shade of your campus life journey in bringing out the best in you. Arjun Kala: Thanks to the study schedule and daily routine of campus life, I have emerged as well groomed hospitality professional. Life at IHM Bengalore has been a transforming experience for me. Earlier, I was a shy and introvert type of a person, but adapting with the campus life enabled me to embrace a well groomed and pleasing personality. The campus routine, which is mix of theory and practical classes, ensured that I learn team work. Thus my life IHM Bangalore campus was a journey of evolution for me in terms of my personality. Careers360: What are the challenges faced by you to cope with new routines of the campus? Arjun Kala: IHM Bangalore, preference to practical classes is given over theoretical classes.I understand thatHotel management courses are designed to test the patience level and emotional and physical strength of students. Maintaining a pace with high standards of grooming was difficult part of campus routine to cope with. I struggled because attending theory-practical classes in the respective dress code demanded efficient time management from my end. I took time to adjust with the campus routine but gradually learned importance of time management. The adjusting process helped me to stay organized and value time. Careers360:How do you divide your weekly time between your studies and other activities? Arjun Kala: Most of the times we are not given assignment or project to be done on Saturday/Sunday. However, if such situation arises, I allot 3-4 hours for the project to be completed. The rest of the weekend time is utilized to indulge in leisure activities such as book reading, hanging out with friends, exploring the nearby places. Careers360:Which are the best hangout zones? What, according to you, are the most-visited places located nearby the campus? Arjun Kala: We are lucky to have our campus located in the heart of the city. There are several options including parks, malls, cafeteria to visit alone or to hang out with friends. I believe the following are the most visited places: MG Road, Cunningham Road, Brigade Road, and SJP Canteen. Careers360:What is your opinion about the infrastructure of the institution? How are faculty members, labs, mess, and everything else? 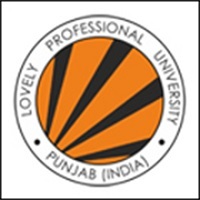 Arjun Kala: The institute has good infrastructure and both classroom s and hostel rooms are spacious. All the three Food Production Labs are fully equipped with indigenous and imported equipment for offering hands-on experience. 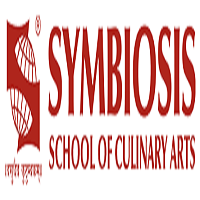 Two training restaurants are well equipped to impart F&B service training to students. A fully functional laundry is also there. A front office lab trains students for front office operations. The institute also has spacious theory labs and Executive Development Center (EDC), where most of the practical of front office housekeeping takes place. Faculty members are cooperative, knowledgeable, and approachable. It is not a task to approach a teacher to seek guidance or help on any course related topic. I am very privileged for being guided and groomed by IHM Bangalore’s experienced faculty. Combination of all the said points makes IHM Banglore, a wonderful hotel management institute. Careers360:Please elaborate on special or guest lecture conducted at campus. Arjun Kala: To provide students with industry oriented knowledge several guest lectures and workshops are conducted at institute. Stalwarts from the hospitality industry frequently visit the campus to interact with students. Recently Spanish chef Niwlas Roman along with celebrity chef Abhijeet Saha visited the campus. The duo offered tips on Spanish cuisine. Such workshops motivate students to excel in the core areas of hospitality. 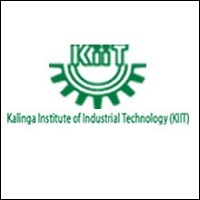 The institute also invites industry experts to deliver speech on their job roles and achievements to motivate students. Careers360:What are the most prominent activities at your campus? Arjun Kala: Lot of academic activities, which are held round the year, keeps students busy. However, “Theme Lunch”, which is organized by second year students, is the most prominent activity at our campus. The activity is carried out 5 days a week and it involves cooking food & service of the cooked food to the nearly 600 people including staffs, students & helpers. Dignitaries from both government and hospitality industry are invited. A theme is selected and everything from decor to food is planned according to that. Other prominent activities include field trips to various industry related places such as: winery & food processing labs. Careers360: Elaborate on emphasis given on grooming and communication skills. Please elaborate what are its benefits and how it has helped you? Arjun Kala: Grooming and communication skills are given a lot of importance as the two qualities are hall mark of good hotel management professional. The institute is not at all lenient in these fronts. To meet the high standards of grooming and communication skills has taught me stay disciplined, polite with others, and patient to deal any situation. Initially it was difficult to adjust but after sometime it became my second nature. I have grown up as more confident and mature professional. Careers360:How many industrial visits are included in your hotel management course curriculum? Share your memories. Arjun Kala: One Industrial Exposure Training (IET) is included in our hotel management course and has to be completed in second year. My experience during IET was that hard work at the training make a person equipped with skills to start a career with positive note. The training aims at instilling the following basic hospitality virtues-discipline, effective communication skill, hard work, honesty, and pleasing personality in trainees. After the completion of training tenure, I emerged out as a more confident person. I learned that Pleasant memories are always an outcome of hard work. Hence with lessons in my heart, skill in my hand and knowledge in my brain I am ready to take on the world. Arjun Kala: Information on all upcoming events is posted on the notice boards. So, notice boards act as source of information dissemination. In-house magazine titled “College Days” which sums up all the events, happenings, and institute’s last year placement is also published by students.